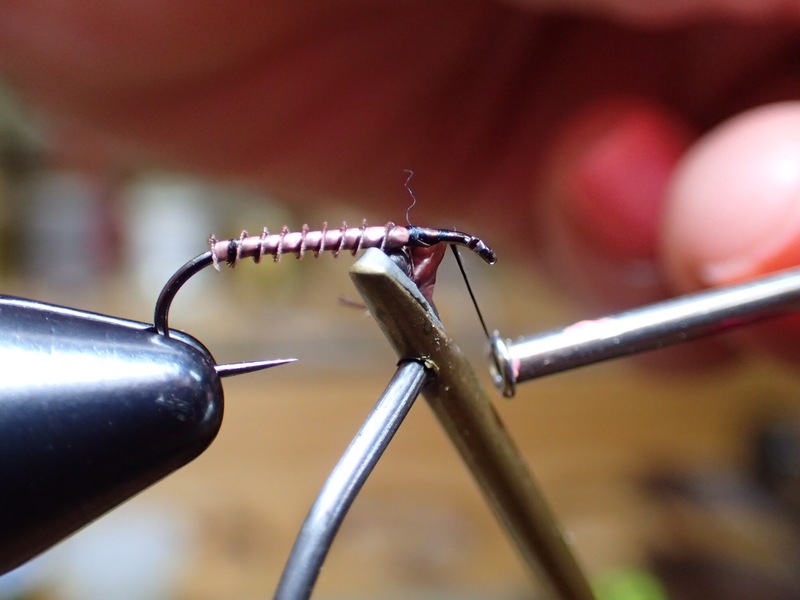 When you begin tying flies there are plenty of phrases you will hear repeatedly and after a while they will become automatic. Your tools will become an extension of your arm and you won’t have to second guess the process. 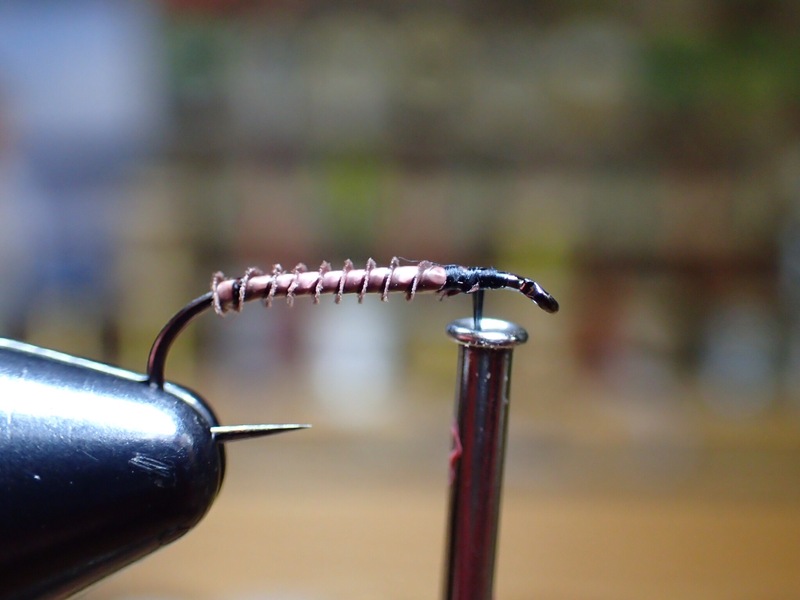 But right now if you are a beginner tyer, this may not be the case yet and some of this may even be overwhelming and confusing. And “Tying off” may be one of those phrases. 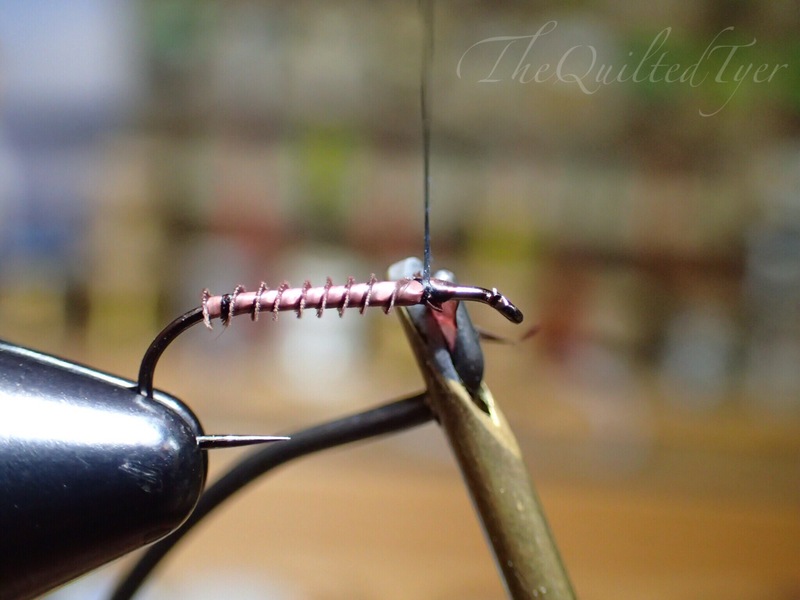 You will continue to hear it all the time between videos, books, magazines, our tying sessions and everywhere else so it might help to become acquainted with the meaning. Yet how would you do that? 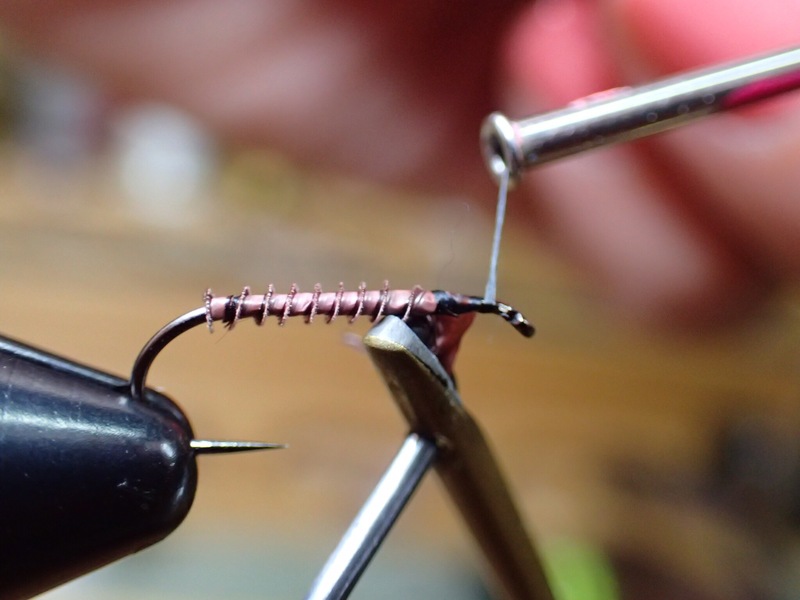 Now I’m Going to give you a step-by-step that will not apply to every single material (because as we will go over in a later post, it varies, for example: with a soft hackle you may put thread behind the Hackle and run it through to the front) but this will definitely apply to the great majority of them. on the edge of danger! Stalemate: It’s 3am.. You’re Sitting at your bench with a turkey biot tied in and wrapped forward, super excited to whip up something with this new found love of fly tying you’ve acquired..
..and all of a sudden you realize that you’re completely unsure how to get rid of this mess that’s left, without the whole thing coming undone. 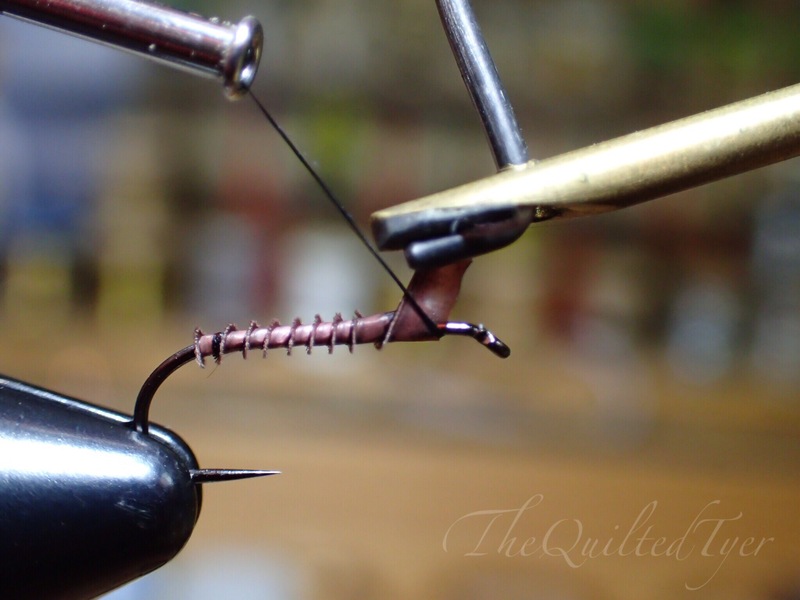 ..Hackle pliers dangling, dangerously close to slipping and sabotaging all of your hard work. 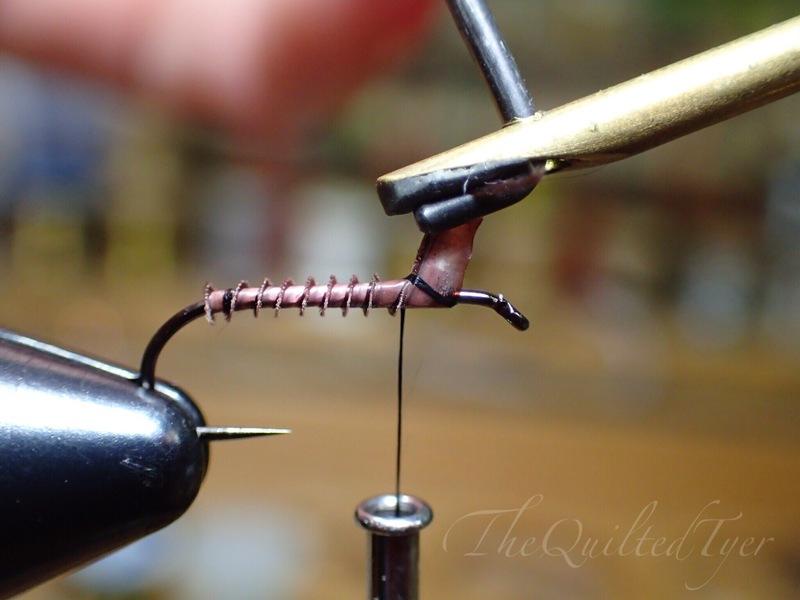 Then with your “non tying” hand, bring that threaded bobbin UP and over to the left side; by doing so it will begin to compress the material from underneath. 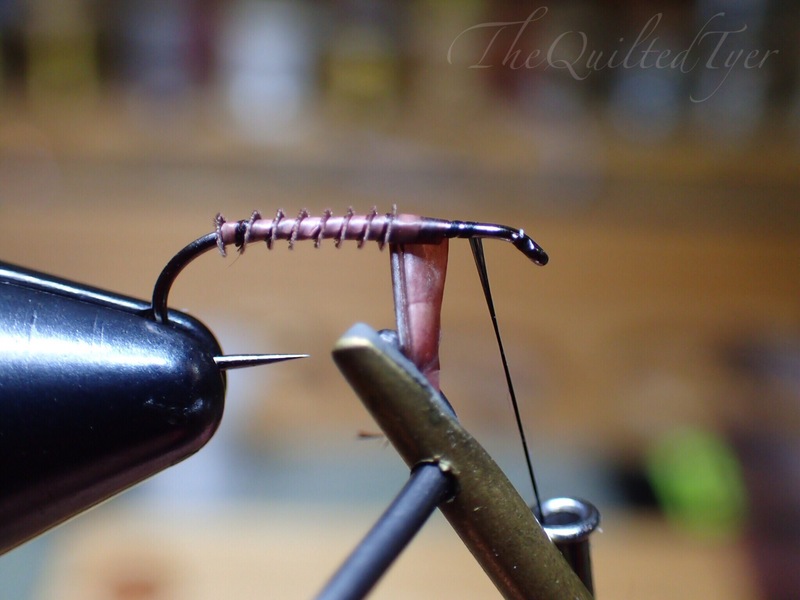 At this point You can either carefully bring the bobbin up and over the hook shank, but if you’ve been to our Fly tying group or saw me at a show you’ll hear me say “just toss it over”. Really, just toss it. In which case you literally bring the bobbin up and drop it over the other side. 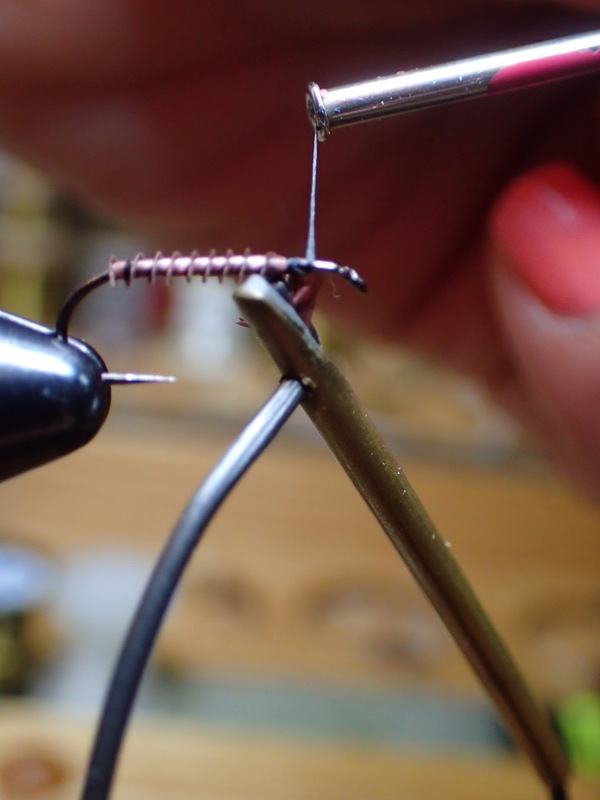 Do that twice in the same spot, while holding those pliers in the same position with your tying hand..
but don’t move the hand that’s holding the hackle pliers! Yet. 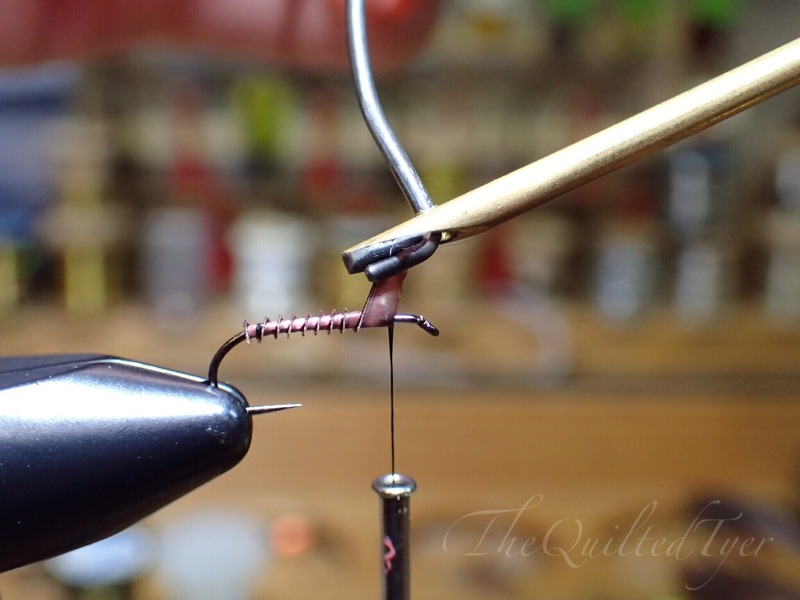 you can now go ahead and drop those hackle pliers. As you can see below you have essentially resumed the same position with the tools, but now the tools are reversed. 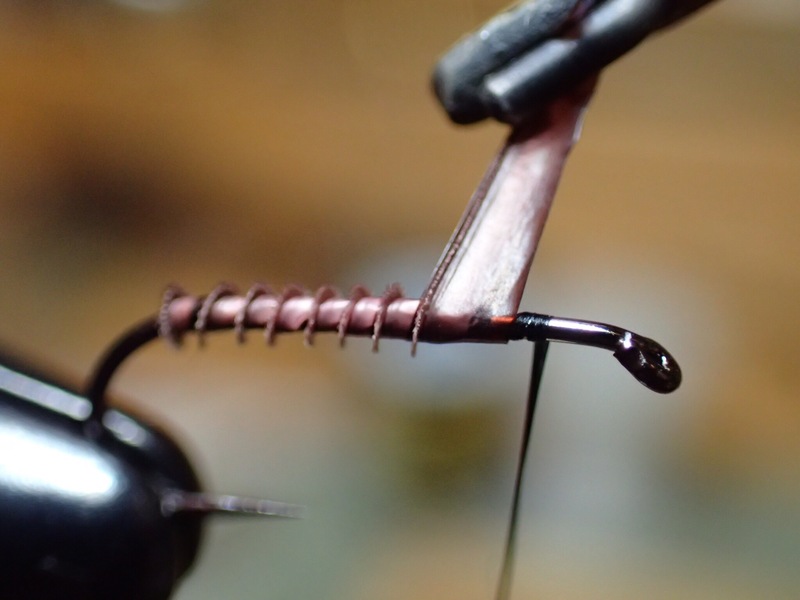 Next: While leaving the hackle pliers hanging there, you can bring the thread around the hook shank again in FRONT of the hanging pliers and the waste ends of the material. Remove pliers. snip excess, one more wrap and that’s it! At this point depending on what you are tying and what the next material is, you can take one more wrap, and cut off the excess material that you spent all this time trying to rid yourself of. This technique is used constantly, and sooner than you think, it will just come automatically. Now Continue with your pattern from here. have fun!